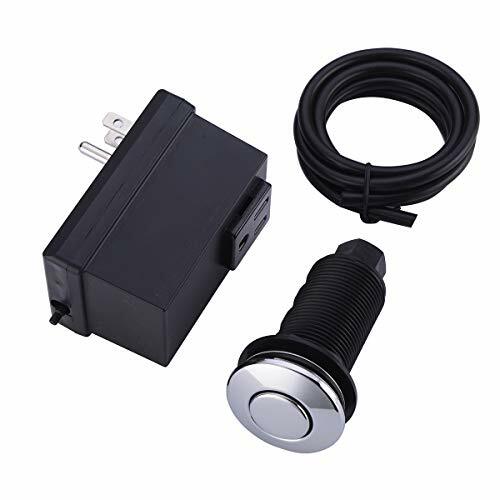 Product specifications: Included 3.15 inch Length*2.15 inch Width*1.80 inch Depth Single Outlet Power Module,39.00 inch Length Airtube, 3.25 inch Length*1.25 inch Width Air Switch Button. More Color: Matte Black, Oil Rubbed Bronze, Satin Brass, Brushed Nickel. Package Included: 1x Socket box,1x Push button,1x Soft Tube. First step :Drill a 1.37 inch hole in the place to be installed, pass the air button through the hole and fix it. Second step :Plug the adapter into the socket below the sink. Last step :Connect the air button and controller with the air tube. If you have any questions about this product by SINKINGDOM, contact us by completing and submitting the form below. If you are looking for a specif part number, please include it with your message. Oatey 39019 1.5" ? 2" 20 DFU Sure-Vent AAV allows air to enter the plumbing drainage system when negative pressures develop in the piping system.